April 5, 2019 Spring Into Savings! 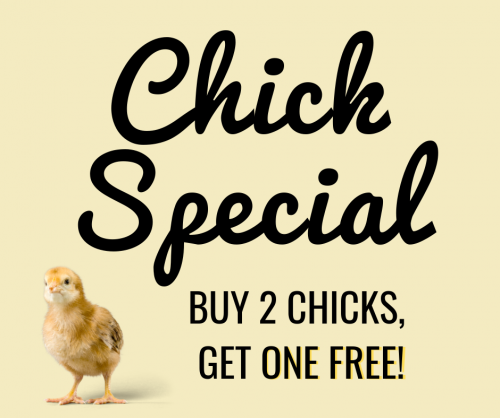 March 21, 2019 Chick Days Are Here! March 13, 2019 It's Chick Season! December 17, 2018 Purina Equine Senior SALE! December 13, 2018 Mark Your Calendars: Holiday Sale Starts Next Week! November 8, 2018 November Savings! October 25, 2018 End of Flock-Tober! October 11, 2018 It's Flock-Tober Time! October 4, 2018 Welcome to Fall! April 12, 2018 Chicks Are Here!